Illness is allllllllll around us. Have you noticed? We're overweight. Lordy lordy, in 2014-15, the ABS clocked 63.4% of Australians aged 18 years and over as overweight or obese (this is ELEVEN POINT TWO million people). What is causing all of this dis-ease??? I firmly believe a large part of the problem here is the food we are consuming. Our food supply has changed more in the last 50 years than it has in the last 10,000!!! As a result of this change in food supply, comes diseases in the body that we've not had to deal with before. For those not in the 'know', I get it, food is complicated. The packaging says it's 'lite', low in fat, low in sugar, high in this, that and the other! But is it actually good for you??? I really, really want to help you understand that eating well, eating healthy, is simple. Being a new Mum and speaking with new Mums every day, I especially want to help them to know that feeding their children well is simple too. But so, so important. What we feed our children is laying the foundation for health in their adult life. It all starts with the phrase... 'eat food that is as close as possible from the ground to your mouth'. In other words, choose foods that are fresh, whole, unprocessed and full of natural goodness. Load up on fruits and vegetables. The more colour the better! Most of your shopping should be made up of fruits and veg... seriously, most of it!! More importantly than the nutrition panel is the ingredient list. If a food is in a packet, read the ingredient list. Do you recognise all the ingredients? Are they natural ingredients? Are they real ingredients? Or are there colours, additives, preservatives and numbers that you have no idea about? Ingredient lists speak a thousand words. I really believe these are more important for your well being than a set of 'numbers' (*don't misread here... nutrition panels; energy content, sugar levels, protein, fibre, fats etc ARE important. I do think though that choosing a food based on a set of numbers rather than what it is made up of is not a good decision). Eat free-range, local, organic animal products (eggs and fish/meats). It is not ok to eat animal products that have been grown with hormones and antibiotics. By eating low doses of antibiotics every time we consume meat, means we are killing the good bugs in our stomachs. Gut health is the stem of good health. It is the foundation of all aspects of our health. It is vital for our well being. I am learning more and more about this fascinating subject and will write about it soon... And, growth hormones in animal products have been found responsible for our children hitting puberty earlier than ever before. Girls are developing 3 - 5 years earlier now... some as young as 10 years old! And, drink more water. Yawn. Sorry, I know you've heard it before. Filter, flush, flush, flussssssh your bodies with water. Keep it clean! One final thing to consider when feeding yourself and your family. Listen to your body. How does this food make you feel? How does that food make your child behave? Are you bloated? Satiated? Do you feel tired/energised? Are you going to the toilet regularly (*sorry to ask, but this is a really, really important question). Listen listen listen, and learn from how you feel. Again, for now keeping the nutrition side of things simple. Practical. Achievable. In a nutshell, choose whole, wholesome, wholefoods. Eat REAL food. Eat well. For now. And for later. 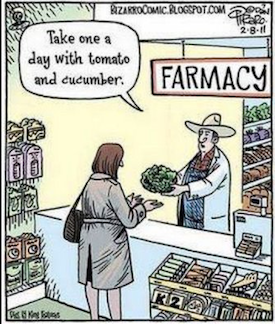 Let food be your medicine. Let it help, eliminate and/or reverse our prevalent, ever-growing dis-eases. You are what you eat. Feel awesome y'all. Hi. And, welcome! In brief, I am Georgie. Wife, Mum, Nutritionist, creator of G. LUXE (a luxe, healthy, delicious muesli and snack bar brand). I am new to blogging... in fact, this is my first. And although not entirely sure where to start (I've got a list as long as my arm with ideas and hot topics; health advice, health during pregnancy (and post) and being a new Mum in general, tips and truths about feeding children well and why this is so important *artificial foods are not an option and I'll tell you why*, my passion to rewire our thinking on healthy food (it IS simple and it IS delicious), recipes (day breaker variety), adventures and why our souls need them, weight loss (energy in v's energy out explained), interviews with health gurus and all round inspiring leaders, the chic places to eat in town (especially where to find g. luxe on the menu) etc etc etc. INCLUDE SOMETHING FRESH IN EVERY MEAL... PREFERABLY GREEN. Fresh means 'alive'. I love this concept. Fast forward to breakfast tomorrow morning. Please tell me, what nutritional benefit will you receive from a piece of toast with vegemite on it? Ok. Now how about a piece of toast with avocado on it? Muesli with milk v's muesli with yoghurt and kiwi fruit. Berries. A peach. Banana. (Any. piece. of. fresh. fruit). Pasta with bottled tomato sauce v's pasta with roasted veges and freshly made basil pesto. I want to keep this short and sweet. Fresh. Is. Best.